The murder of Tom ap Rhys Pryce was just part of a game for two teenagers who were destined to kill. 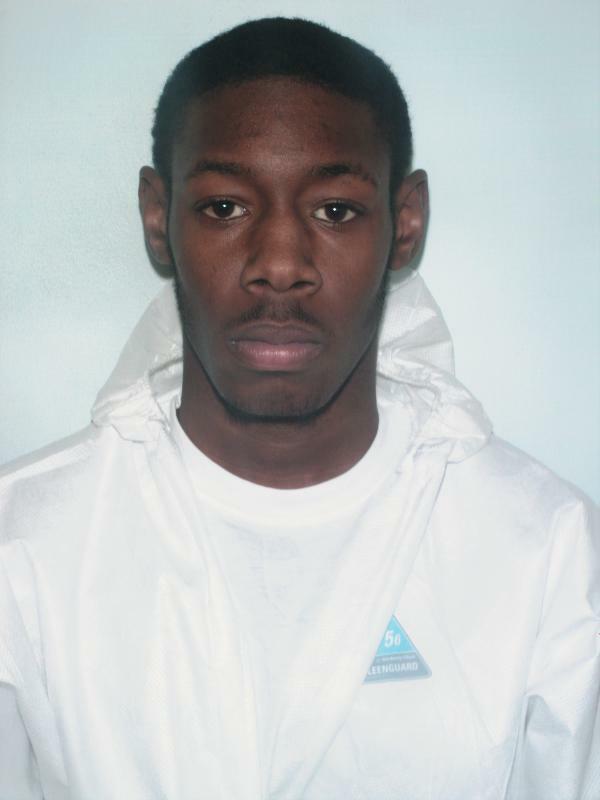 Donnel Carty and Delano Brown led a gang called the ‘KG tribe’ – referring to the Kensal Green area of north west London where they lived. 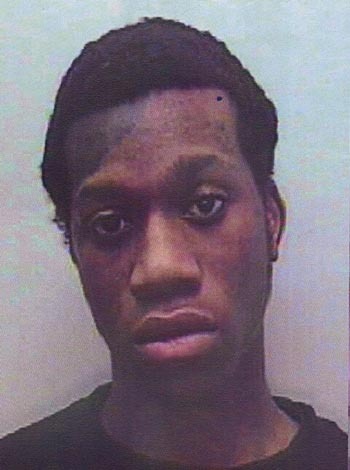 Carty was a rapper and prophesied the lawyer’s death in a chilling composition he recorded a year before the murder on a CD made as partof a youth employment programme. The pair had both been involved in a series of robberies which closely followed the rules of their mugging game. Each helpless victim was intimidated with knives and would be stabbed in the leg or’juked’ if he disrespected them by daring to resist. The last part of the ritual was to call their girlfriends on the mobile phones they had taken. Carty could not resist calling his girlfriend after the robbery of Mr ap Rhys Pryce, even though he knew the victim had been stabbed in the chest and was probably fighting for his life if not already dead. The obsession with the game gave detectives the simple task of tracing the caller and put the two arrogant teenagers behind bars. Carty and Brown grew up around Burrows Road in Kensal Green, just a few minutes away from the murder scene near the lawyer’s home in Bathurst Gardens. Both were the products of broken homes with absent fathers in a community where drugs and street crime are depressingly familiar. Brown was brought up by his mother, who worked for the Metropolitan Police catering department, with his two sisters in Sudbury, northwest London. But he often visited his grandparents and godfather who lived in Kensal Green and started playing with Carty in the street from the age of ten. Carty spent his time between his uncle’s house in Kilburn and his grandparents home in Kensal Green where both teenagers would hide after Mr ap Rhys Pryce had been murdered. Brown went to St Raphael’s Primary School in Northolt, Middlesex, and then passed GCSEs in English, Maths and PE in 2004 at a school in Hillingdon. He also completed a one-year sports teaching course at Uxbridge College which allowed him to teach children. By this time he had drifted apart from Carty, who had been to several different schools including Hounslow College and was working for his godfather’s construction business after leaving with few qualifications. At 17 he again started seeing his ‘cousin’ Carty. Carty wasthe more dominant of the two and has a previous conviction for assaulting a police officer and a caution for possession of cannabis. When Brown was charged he burst into tears. Carty had introduced Brown to his gang – who he hailed as the ‘KG tribe’ when rapping at parties. ‘If it don’t work out, draw your sword. Soon the KG Tribe were robbing Tube travellers often just for loose change and a mobile phone they would sell on the street for £20 or £30. They both had carried out many more robberies than they admitted to at the trial and were questioned about several ‘steaming’ offences carried outby the KG Tribe or their associates. By the time the two victims were mugged three weeks before Mr ap Rhys Pryce was killed, the rules of the game were well established and being put into practice. The first victim on December 23, 2005, who can be named only as Mr K, was on the Northern Line tube passing Colindale when the group spotted him and another passenger alone in a carriage. Mr K watched as the gang first attacked the other man and emptied his pockets before approaching him as he stood near the doors. He told jurors: ‘I had no intention of giving them anything. I was pushing them away. ‘I saw one of them take a knife out and open it. ‘He plunged the knife into my left thigh. I was very frightened because a lot of blood was flowing from my leg. Two hours later the gang spotted Mr J deep in concentration on a newspaper Sudoku puzzle on the Hammersmith and City line just after 11pm. Five youths got on to the carriage two stops before Paddington and hit him over the head with a plastic Coca-Cola bottle. Mr J said: ‘I received other blows with people hitting me with their hands and feet. ‘I was defending myself with my hands. I stood up and I got into a fight with them I think I hit one with my pen. ‘I gave them my wallet,’ said Mr J. The pair pulled up their hoods to mug Kirshat Ali on the platform at Kensal Green tube station minutes before Mr ap Rhys Pryce was killed. After the mugging Brown would use the victim’s phone to call five women between 1am and 5am in calls lasting a total of three hours and 12 minutes. The pair ran from the station after robbing Mr Ali but were unconcerned he might have called the police when they spotted the lawyer walking to his home in Bathurst Gardens. 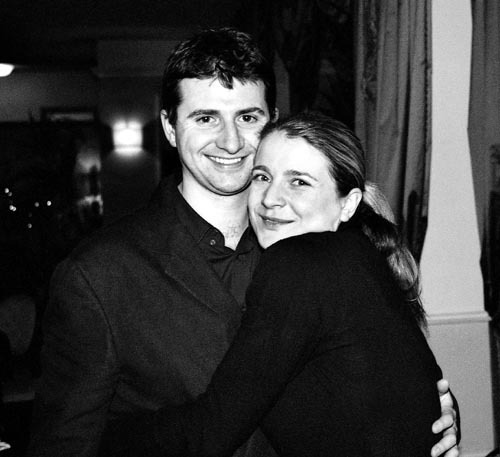 His parents, Estella and John live in Weybridge, Surrey, and were overjoyed when he announced he was to marry fiancee Adele Eastman who worked for the Queens solicitors Farrer and Co in the following September. The lawyer was carrying documents about the wedding plans when he was felled with a drop kick from behind. Carty and Brown grabbed some his cash and Oyster card before ‘juking’ him in the leg in the initial struggle. Mr ap Rhys Price refused to hand over his mobile phone and ran off. He bravely fought back when he was cornered between two parked cars and tried to block the blows. The lawyer paid for his defiance with his life when he was stabbed twice in the chest. His last words were: ‘You’ve got everything’ as the pair ran off. Mr ap Rhys Pryce managed to stagger towards his home, falling and dropping the wedding documents which included his vows to his fiancee. He collapsed outside and bled to death in the street before an ambulance arrived. Minutes later Carty was using his phone to repeatedly call his girlfriend Elisha Brown. Brown called five girls the same night and spoke to a 17-year-old girlfriend on Mr Ali’s phone for almost two hours. The day after the murder Carty sold the phone to a shopkeeper at the end of Bathurst Gardens – yards from Mr ap Rhys Pryce’s home. But the phone calls they made led police straight to the pair who could only blame each other in court a bitter ‘cut throat’ defence. In a victim impact statement Ms Eastman said: ‘We felt that the best was yet to come; our wedding, children and a long and happy marriage. But it was all only ever to be a dream. ‘In a matter of seconds wedding plans, and a future together had changed to funeral plans and a lifetime apart.